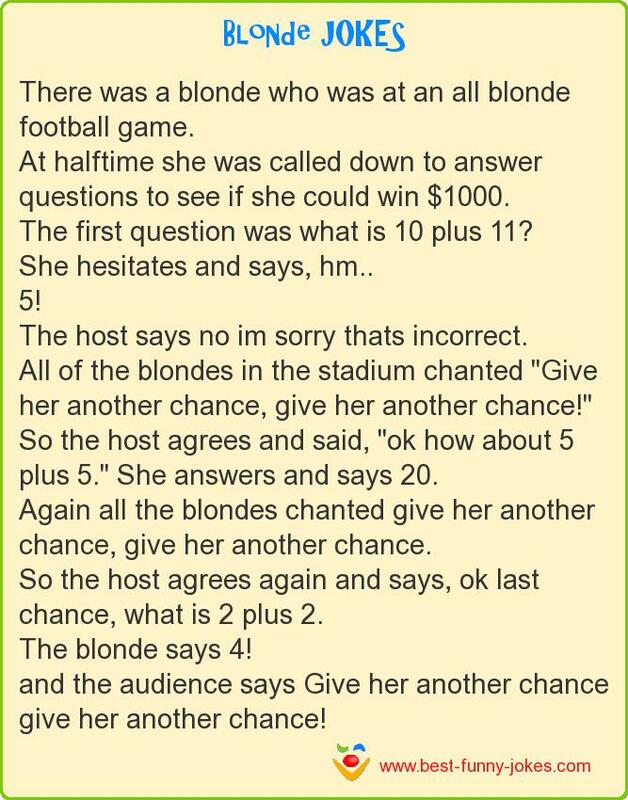 At halftime she was called down to answer questions to see if she could win $1000. The first question was what is 10 plus 11? She hesitates and says, hm.. The host says no im sorry thats incorrect. All of the blondes in the stadium chanted "Give her another chance, give her another chance!" So the host agrees and said, "ok how about 5 plus 5." She answers and says 20. Again all the blondes chanted give her another chance, give her another chance. So the host agrees again and says, ok last chance, what is 2 plus 2.
and the audience says Give her another chance give her another chance!